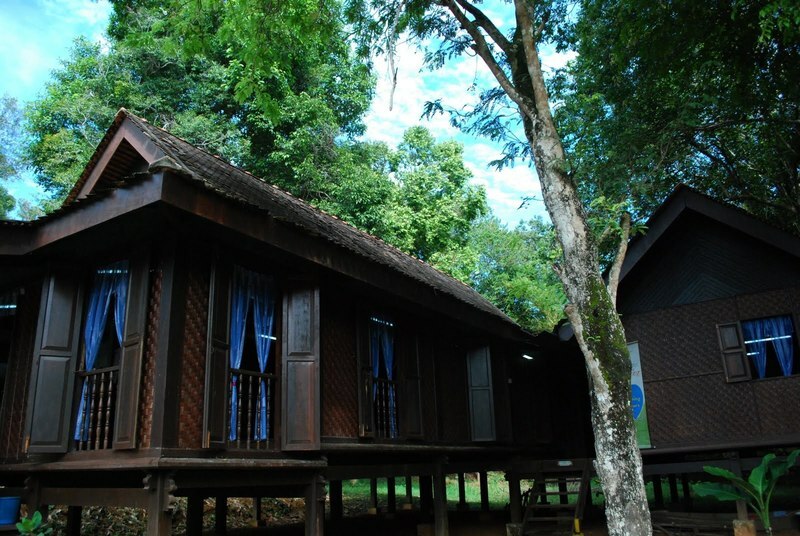 A melting pot of cultures is what Malaysia’s most fondly referred to as. 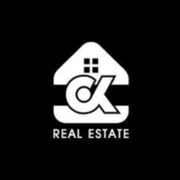 No doubt about that, Malaysia’s property industry is also a melting pot of both new and old buildings - from minimalist and industrial designs, to good ol’ kayu meranti and timber wood flooring. 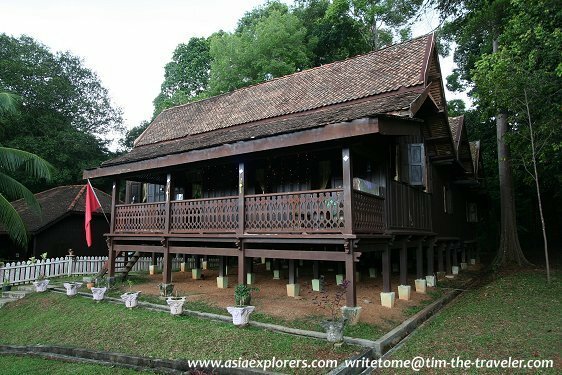 This Malaysia Day, let PropSocial take you on a little history adventure to discover the traditional houses of each state in Malaysia! Not only is this fun to see how we’ve grown in building houses nationwide, but it’s also a pretty cool history lesson to convey to the young. P/S: Certain states have more than 1 traditional house that’s native to them, hence, we’ve only selected one per state so the list does not go on too long. Noticeable By: The long ridged roof that’s joined by 4 ridges that project outwards (towards the sky). The main house and the main kitchen are separated from the verandah by a passage. Noticeable by: The colourful tiles on the stairs that are imported from Europe or China. The structure is also architecturally influenced from China and many other places such as Europe. Noticeable By: Multi-tiered roof that curves upwards in sharp points, resembling the horns of a buffalo (kerbau). 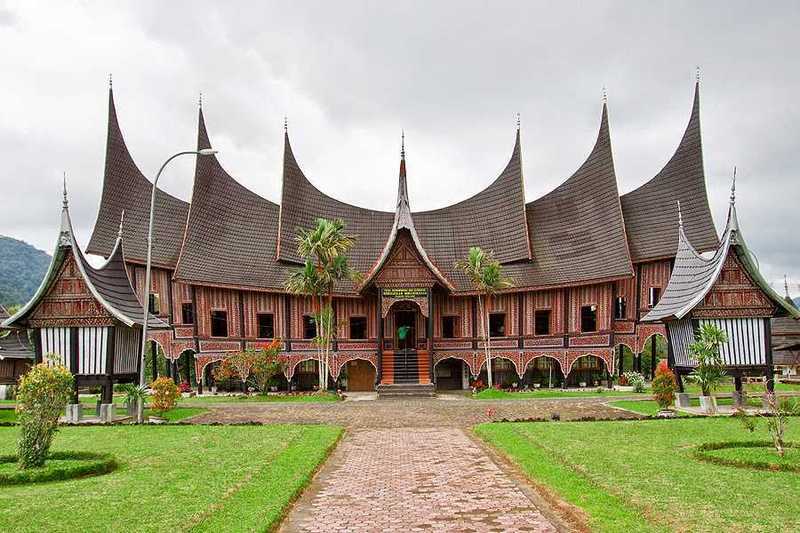 Rumah Minangkabau can also be found in Indonesia where it’s referred to as Rumah Gadang. It also resembles a ship somewhat, as it’s small at the bottom and big at the top. Noticeable By: The long roof (bumbung panjang) is constructed from a single piece of perabung (roof) that is long and flat in shape. 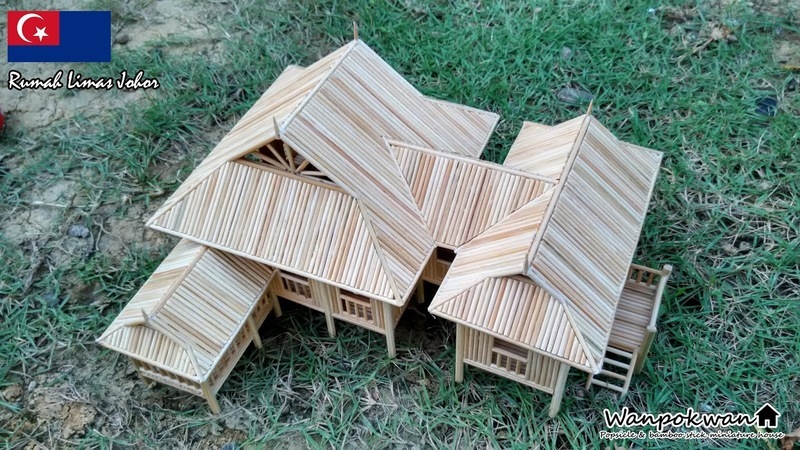 6 types of wood are used to make the structure of the house - cengal, giam, meranti, damar laut, kempas, and kapur. And that’s just the walls/flooring! 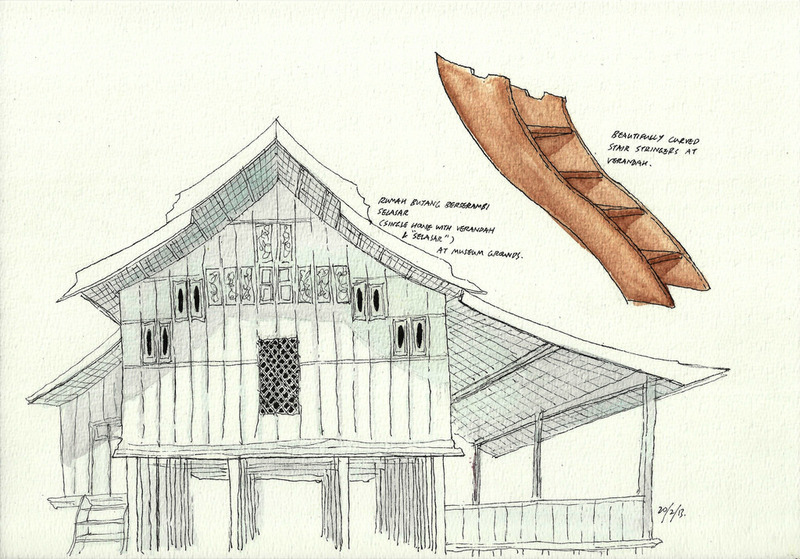 The roof is made from rumbia and nipah. Noticeable By: Comes in structures of 12 or 16 columns (tiang), if viewed from the front, there are 3 rows of columns. 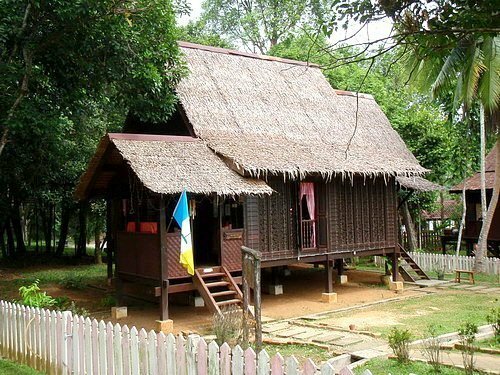 Also known as Rumah Perak or Rumah Tua, as kutai is another world for old in local Perakian dialect. 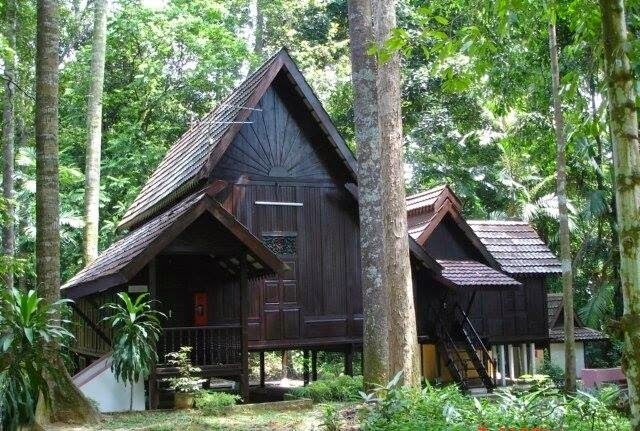 Noticeable By: Has 4 sets of stairs in the front of the house that leads to the common gallery (ruang serambi). The kitchen roof is slightly lower than the roof of the main house. Noticeable By: The long and flat roof is finished with a gable that looks like an upside down ‘V’ shape, or an upright triangle. Certain homes are built with up to 24 columns! 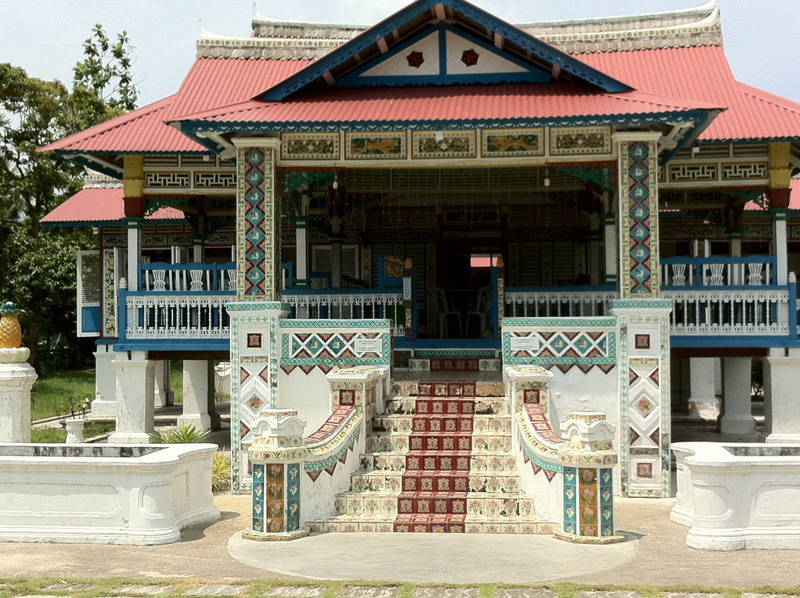 The architecture is influenced by Acheh and Bugis’ cultures. Noticeable By: A bigger house structure followed by a smaller one attached next to it that looks like a mother elephant nursing her young. 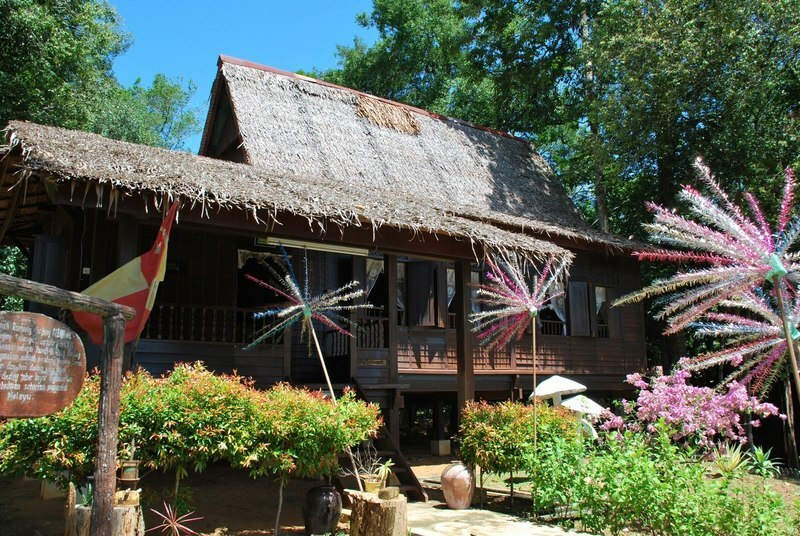 The house is made from cengal and meranti wood, whereas the roof is made of rumbia. 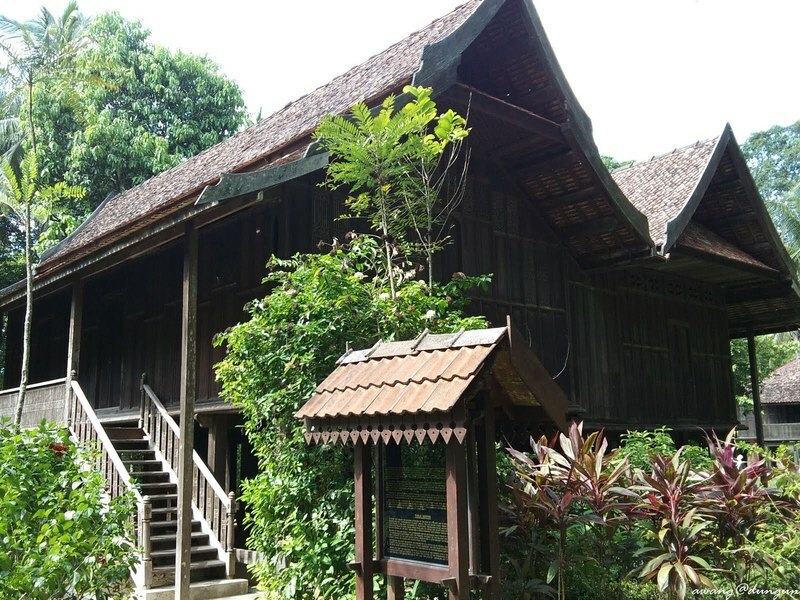 Noticeable By: Most houses have additions/smaller components branching out, but Rumah Bujang is as it’s named - just a single house by itself ('bujang’) is the Malay word for single). The space consists of just the main hall and the kitchen with curtains as dividers. Noticeable By: The walls are carved with excerpts from the Quran, with 4 specific walls above the main door inscribed with the Syair Burdah. 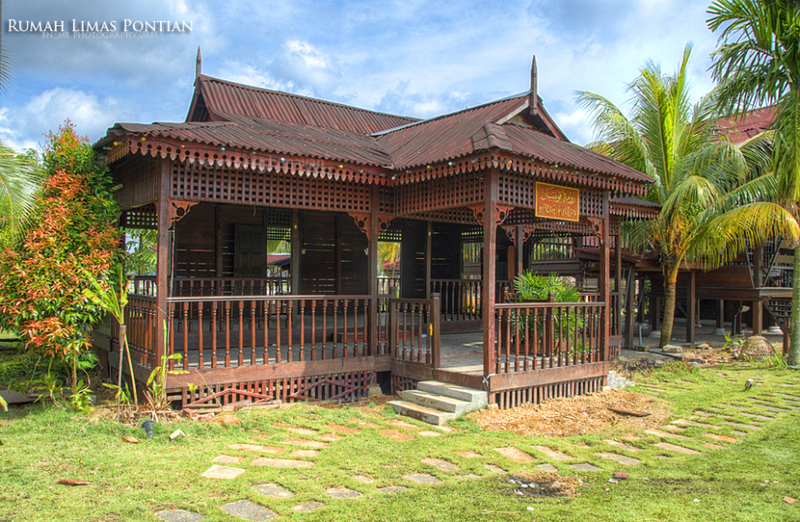 Rumah Tele is joined to the royal palace, located behind it, and is exclusively for females to live in. Noticeable By: The whole house is built WITHOUT NAILS! From the windows to the walls, to the roof and the flooring, the wood holding the house together is combined using a rabbet (tanggam). 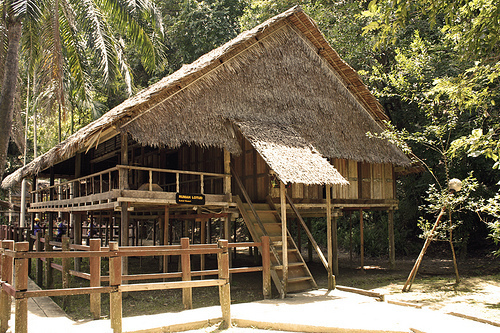 Noticeable By: Resembles a longhouse, but with an added lower floor (soriba) that serves as a sleeping place for guests. There are 6 types of Rumah Lotud which includes lamin kopio, sulap-sulap, tinupak, pinopintod, kinubu, and tanaru. 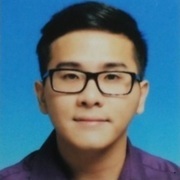 P/S: ‘House’ is called lamin in their dialect! Noticeable By: The home stands 10m above ground as in previous times, wars raged between villages, hence, the home is built high above ground to protect it and its occupants as well as serving as a form of defence. 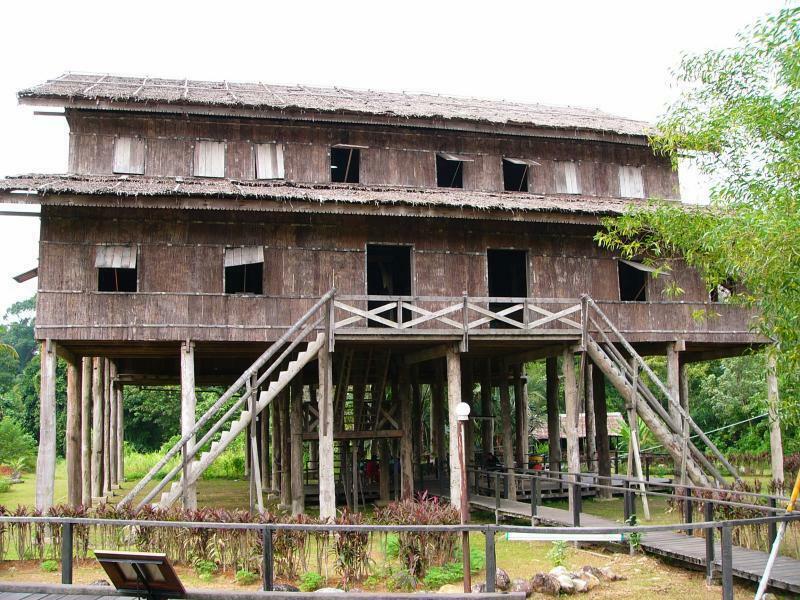 Many of these traditional houses have been converted into museums and exhibit pieces, with not many being built anymore due to safety and logistic reasons. 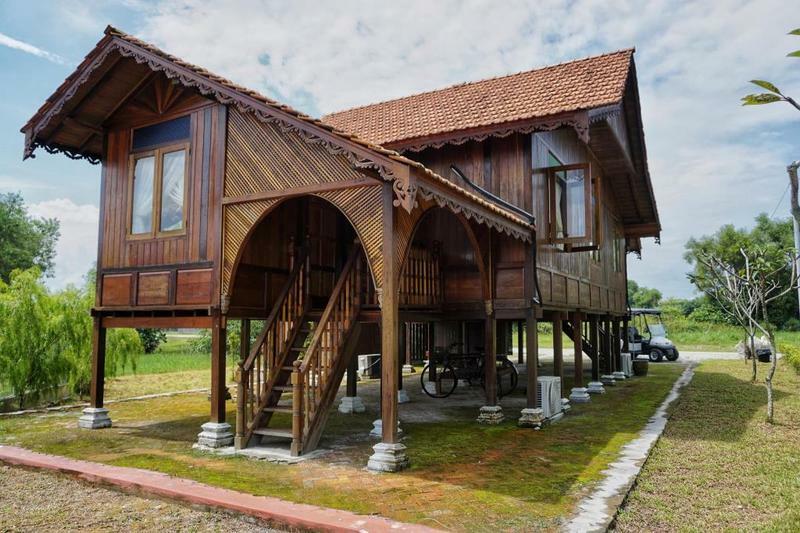 As the culture and tradition of these traditional houses slowly disappear from sight, we Malaysians should always keep in mind our roots and where we come from. 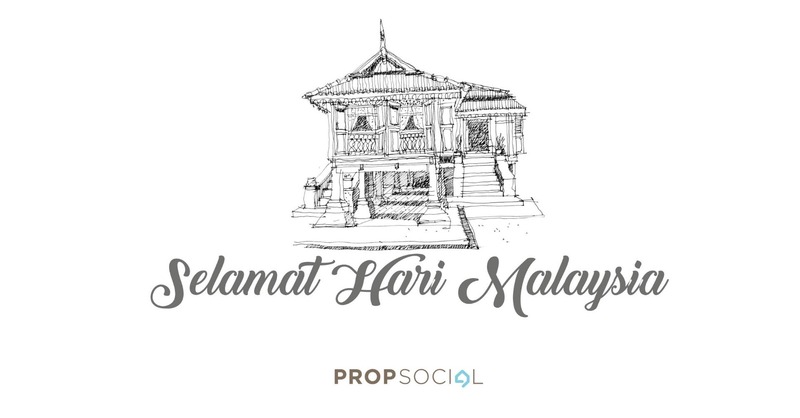 With that, PropSocial team wishes you Happy Malaysia Day! Let’s stay united through thick and thin! Really nice houses built. Notice that olden days are very well prepared for floods or animals to trespass during the days.